Access the main building by entering the rear door on the fourth level. Take Troy Hill Rd. past the Brewery and make a left turn onto Province St.; then take the first left hand turn into the parking lot. Enter the glass door and follow signs. Joseph Stillburg designed what was originally called the Eberhardt & Ober Brewery, founded in 1848. He is also the architect of the Troy Hill Fire Station #39 and the Suibertus G. Mollinger / St. Anthony of Padua Shrine. Prominent Pittsburgh-architect Frederick J. Osterling trained in his office. 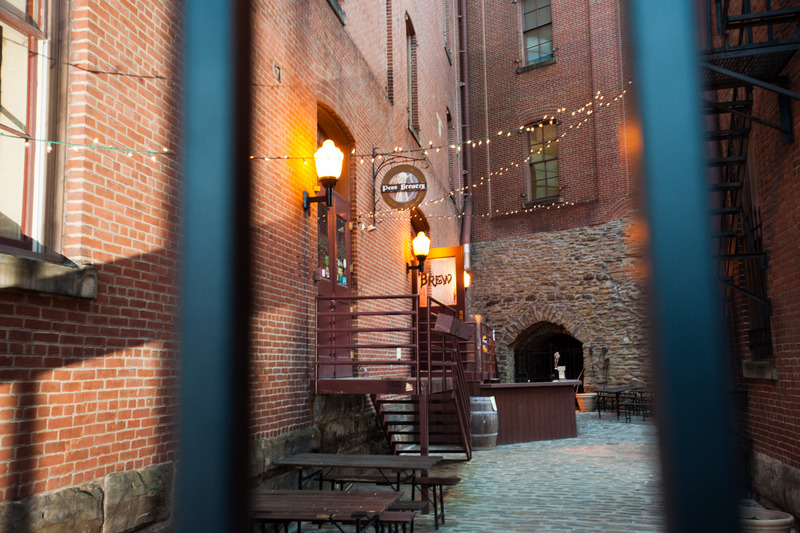 You will have the opportunity to view Penn's brewing, lagering, and bottling facilities, our German bier hall, original cobblestone biergarten, and several of the complex's original nineteenth-century lagering caves, including the caves on the second floor of the building which are not open to the public. 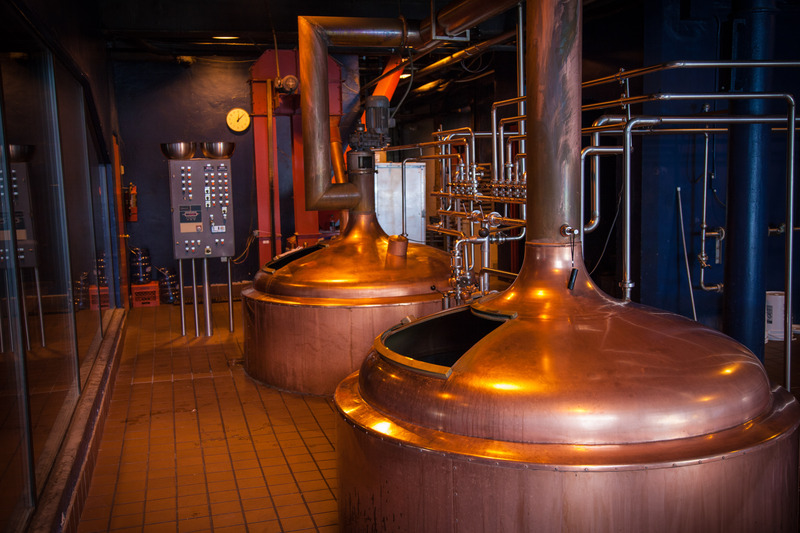 Although the modern-day Penn Brewery was started in 1986, our roots actually lie far back in 1848, with the Eberhardt and Ober families, Germans who settled in the Deutschtown neighborhood in the City of Allegheny, now Pittsburgh’s North Side. Three breweries originally operated on the site where Penn exists today, and these underwent various mergers, acquisitions, and restructurings over the second half of the nineteenth century. Three of the buildings from the era of the Eberhardts and Obers remain as part of the present-day Penn Brewery complex. These buildings are listed on the National Register of Historic Places and boast many unique architectural features. 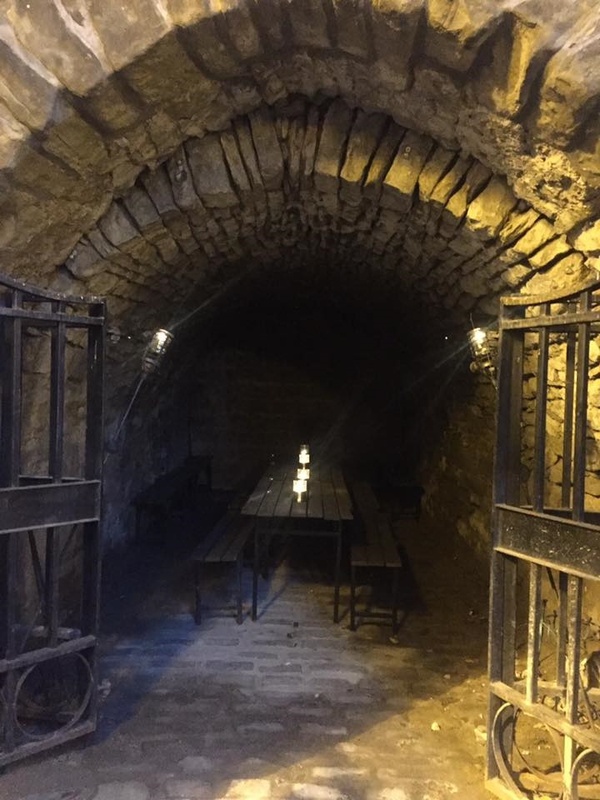 Perhaps the most notable of these is a labyrinth of stone caves and tunnels which was constructed to chill, or “lager,” barrels of beer in the days before refrigeration became commonplace. Penn is one of just a handful of remaining US breweries that still has lagering caves. The E&O and the Ober Bros. Breweries brewed beer at this location for several decades and eventually merged with a number of other regional breweries to become part of Pittsburgh Brewing Company in 1899. Beer production continued – with a break during Prohibition – until 1952, under such labels as E&O Pilsner and Dutch Club. Today’s Penn Brewery beer brand was born in 1986, when the flagship Penn Pilsner variety was contract manufactured, first at Pittsburgh Brewing, and later at Jones Brewing Co. Penn opened its own brewing operation at the E&O site beginning in 1989, in the historic buildings that had been restored with the assistance of the North Side Civic Development Corporation. The restaurant also opened in 1989 as Allegheny Brewery & Pub and was renamed Penn Brewery in 1994. Notably, Penn was the first “tied house,” i.e., restaurant tied to a brewery, in Pennsylvania since Prohibition. In addition to being the oldest and largest brewery in Pittsburgh, Penn is also one of the oldest craft breweries in the country.